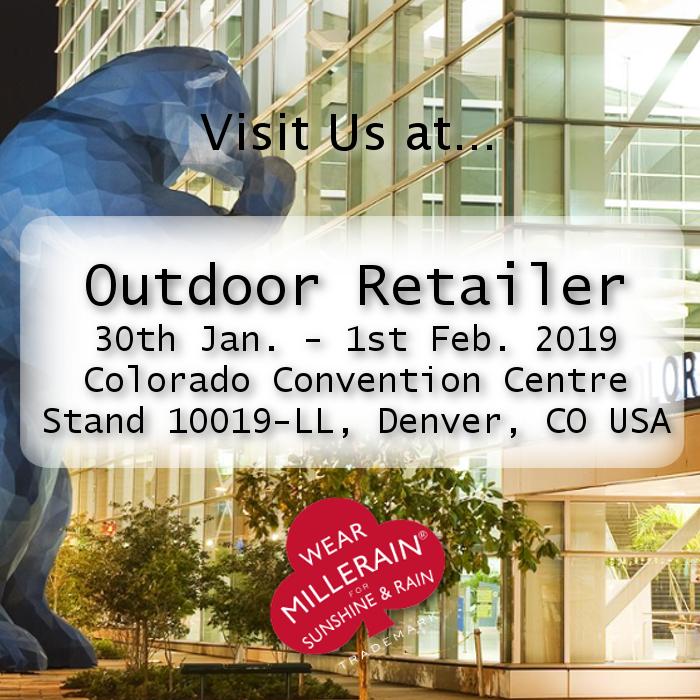 Outdoor Retailer | British Millerain Co. Ltd.
We are excited to be attending Outdoor Retailer in Denver, Colorado on 30 Jan.- 1 Feb. The show brings together the Industry’s leading brands and fabric suppliers. To see the latest collection and newer developments come and visit us at Stand 10019-LL!